Climate changes on timescales ranging from days and months to thousands of years. The causes of these changes are equally varied and can be considered as natural, due to human activity (anthropogenic), or some combination of the two. Climate research is often complicated by feedbacks, whereby a cause of climate change is itself affected by the change in climate. The links to the left examine different aspects of climate change and provide examples which should help remove many of the sources of confusion currently surrounding the public debate. In particular, we distinguish between climate change that would have happened anyway, and that which can be attributed to human intervention. 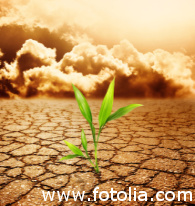 How can people change climate? Isn't the Greenhouse Effect natural?